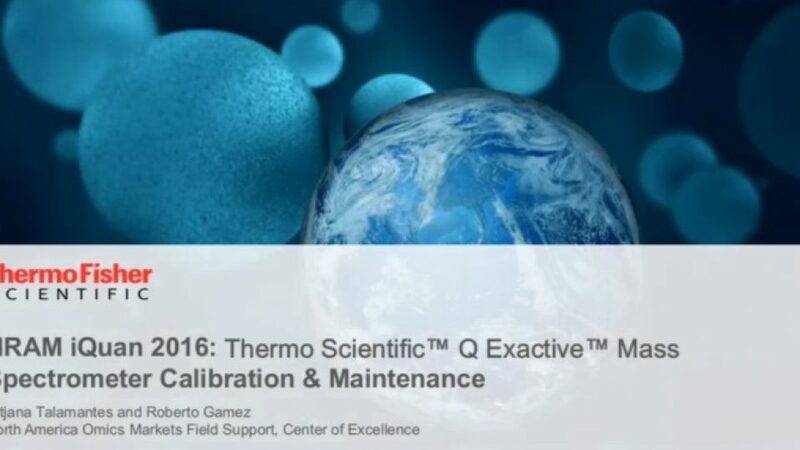 What you need to know about calibration and maintenance of the Thermo Scientific™Q Exactive™ Mass Spectrometer Series. View the slide deck here. Identify and quantify more proteins, peptides, lipids, glycans and small molecules accurately and in less time with the Thermo Scientific™ Q Exactive™ HF hybrid quadrupole-Orbitrap mass spectrometer. 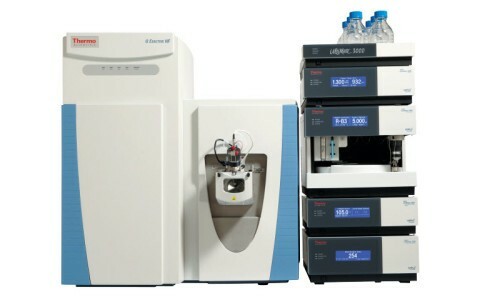 The Q Exactive HF system combines a state-of-the-art segmented quadrupole for high-performance precursor ion selection with a high-resolution, accurate-mass (HR/AM) ultra-high-field Orbitrap mass analyzer to deliver a superior combination of scan speed, resolving power, mass accuracy, spectral quality and sensitivity. Identify, quantify and confirm in a single analysis with a single instrument with the Q Exactive HF mass spectrometer. 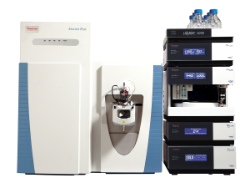 Screen, identify and quantify compounds in complex samples rapidly and with confidence using the Thermo Scientific™ Exactive™ Plus Orbitrap Mass Spectrometer. This benchtop LC-MS system delivers high-resolution, accurate-mass (HR/AM) data and fast full-scan capabilities to increase your sample throughput and confidence in results. Easy-to-use and cost effective to operate, it is the ideal instrument for analytical laboratories performing food safety or environmental screening, clinical research, forensic toxicology, DMPK, metabolomics and biopharma (intact protein analysis) applications.